When my brother visited from the U.S. this past Christmas, he brought us a bunch of board games which we learned how to play with my siblings and their spouses. A couple of years back he also introduced us to two games called Catan and Dominion. 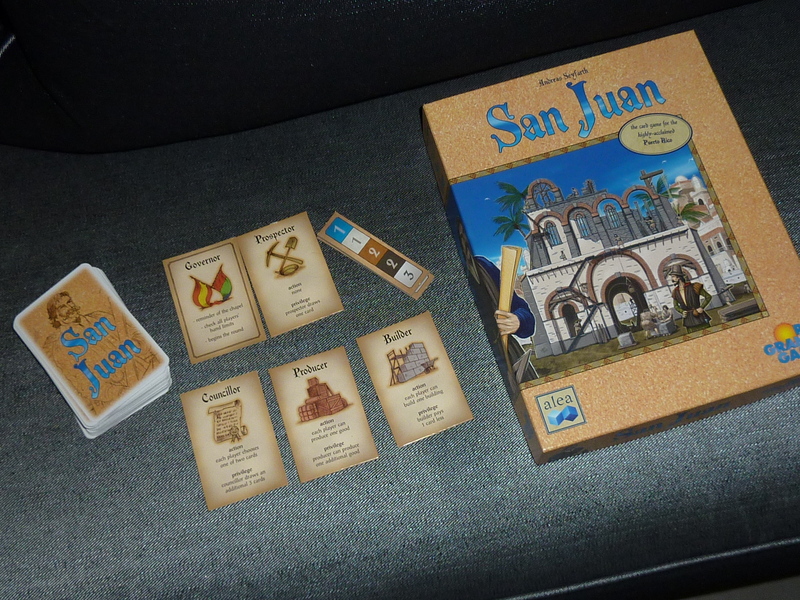 But recently, he picked up a few other games that gave us hours of bonding time — namely Puerto Rico, San Juan, and 7 Wonders. If you haven’t ever tried playing board games with your kids, try replacing one night of television with a fun board game. Board games are a great way to develop your child’s logic, math, and language skills. I honestly feel they are better than computer games because they encourage fellowship and interaction. Computer games often make children disappear into a fantasy world. Board games like Catan, Dominion, 7 Wonders, Puerto Rico, or San Juan (which are all some of the best board games out there), encourage you to negotiate, discuss, use strategy, and bond together with the others who are playing. However, these board games can be addicting, too! My husband can play these games with friends for hours and hours and even forgo a night’s sleep! This has happened with the game, Catan, where he and his friends have played for 9 hours straight. But, my husband is also a wonderfully sensible man and won’t do this often. Previous Look At My Work, Mom and Dad!